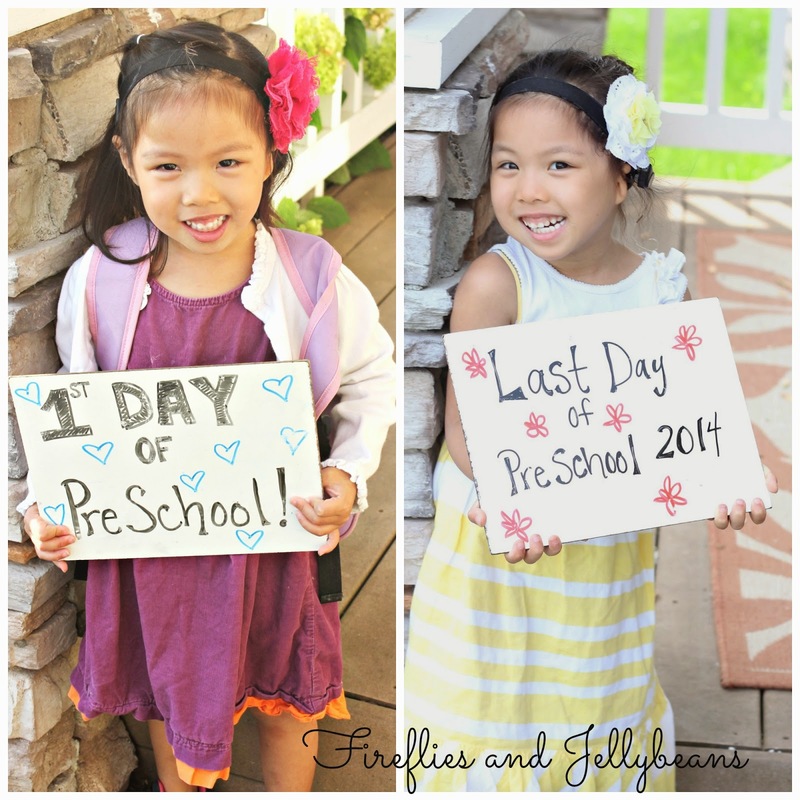 I thought it would be fun to take last day of school pictures to see how much they have changed. And even though I knew they would look older it still surprised me! Here is my oldest. Just starting our elementary school journey. We had his end or the year party and I couldn't stop crying. 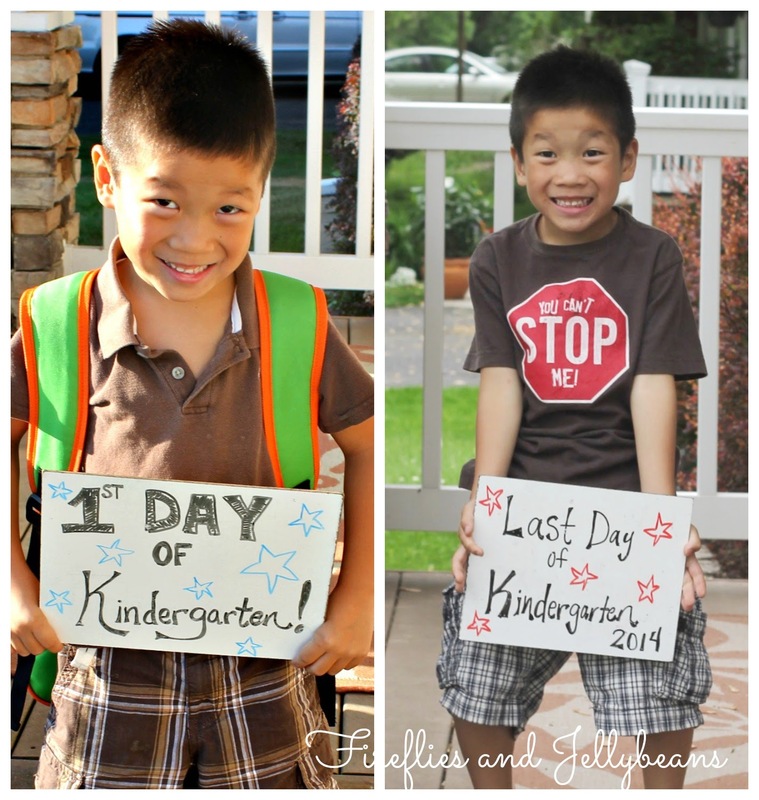 Because, this year he went from looking like a "little boy" to "boy"- as in calling me "mom" now instead of "mommy"
And this little girl finished her first full year of Preschool. She is turning into a little beauty. And we found out, at her end of the year party, that all the boys at her preschool are in love with her... I mean- this is preschool - is that even supposed to happen? Good thing this girl has 2 brothers! 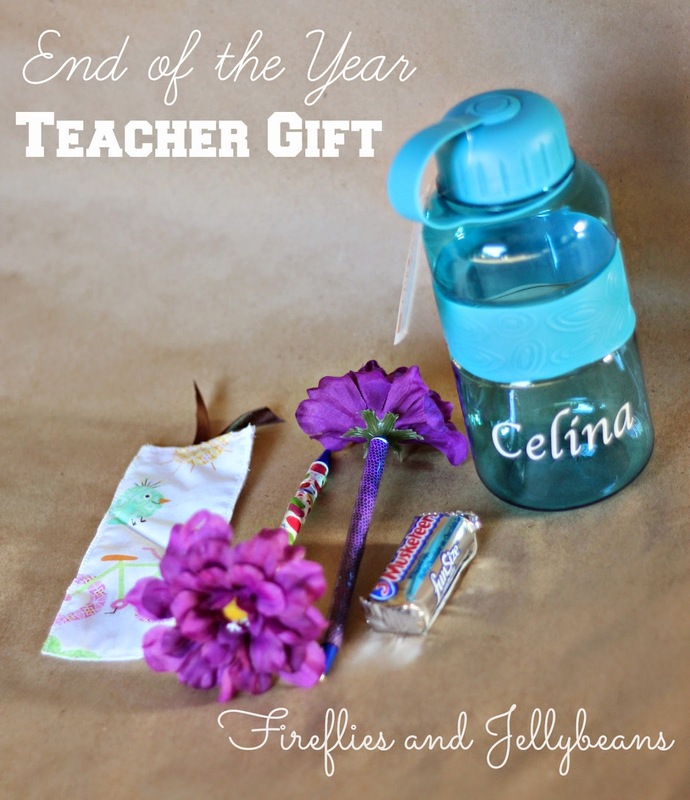 Here are the teacher gifts I gave this year. I kept it pretty simple. I was able to get most of my supplies at the dollar store and use what I had on hand. 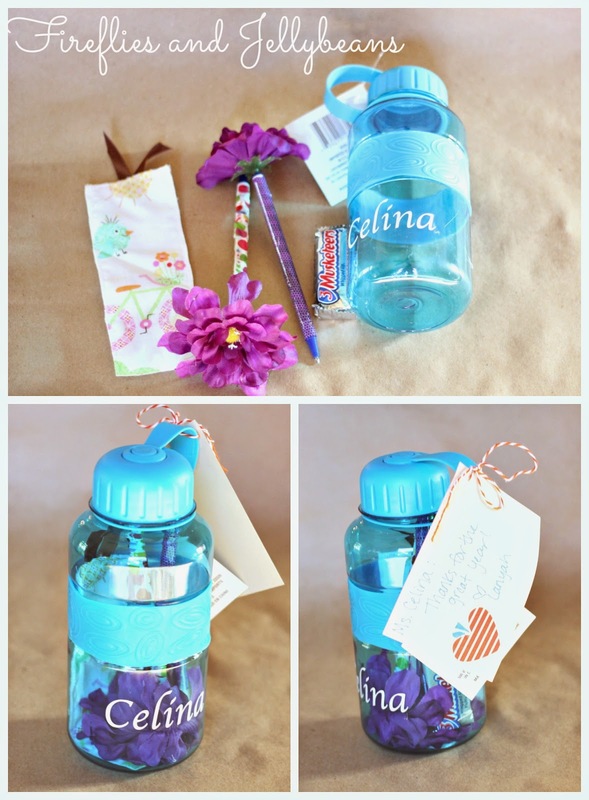 I was able to use the bottle as the wrapping and add a cute tag to it! I cannot believe that the school year is done... bring on summer!